Teaching flows through Jill Watson’s genes. For 14 years, she has followed in the footsteps of her grandmother, mother, aunts, uncle and brothers – all of whom are teachers. 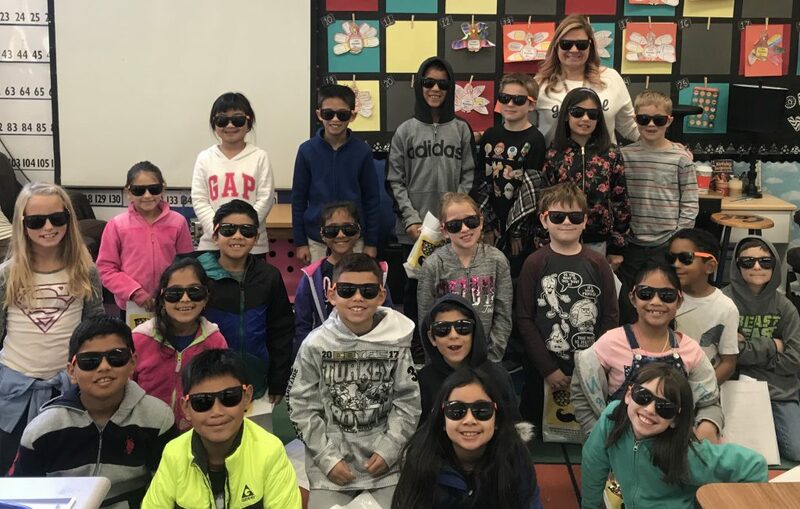 While she initially tried to break the family mold – by majoring in child psychology in college – she ultimately wound up in the classroom, where she now teaches third grade in San Ramon, California. However, she often draws on her psychology background to help her students overcome challenges both at home and at school. For many of them, school is the only place where they have consistent access to heat, electricity and regular meals – making it all the more important to make them feel safe and taken care of. As a mother of two children – one of whom was diagnosed with dyslexia – Jill knows how important it is to think outside the box and try fresh and innovative teaching methods in the classroom. For example, Jill’s classroom has flexible seating, including three desks, tables, a couch, “wiggle seats” (exercise balls) and few big armchairs to keep students physically active throughout their learning. She says even small changes – like playing classical music, bringing plants into the classroom and offering colored sheets of paper – can create a better learning environment for students. Jill is adept at using personalized learning in her classroom – which just happens to be theme of this year’s Better Together: California Teaching Summit on July 27. For the fourth year in a row, thousands of teachers will come together at 30+ locations for a unique statewide day of learning, led by teachers for teachers. The Summit is free and open to all California pre-K-12 teachers, teacher candidates, school administrators and other educators. Jill, who served as a moderator at St. Mary’s in 2017, is excited to participate again in what she described as an “open, welcoming and meaningful coming together of minds.” She was especially impressed with the “EdCamp format,” which allowed topics to be generated organically by teachers, rather than being dictated by a pre-set agenda. In addition to learning new personalized learning strategies from the Summit’s TED-style EdTalks and Edcamp-style discussions, Jill is looking forward to making meaningful connections with a professional network of her peers. “It’s a wonderful opportunity to make connections, hear really meaningful talks and spark your learning, Jill says. Join Jill and other teachers across the state at this year’s fourth annual Summit! Click here to register!